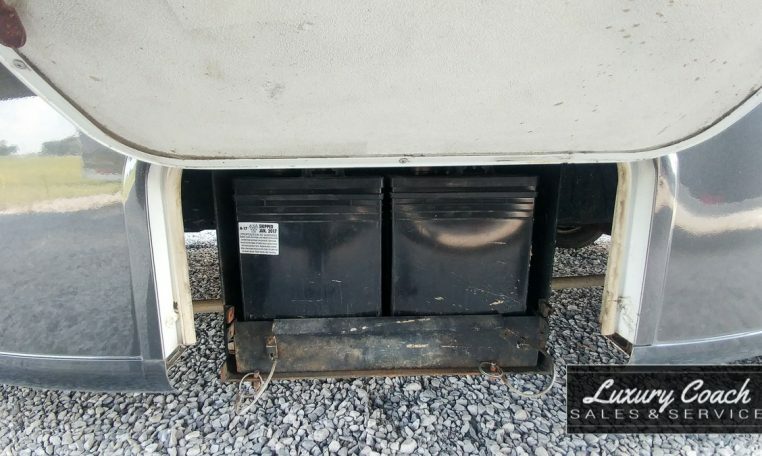 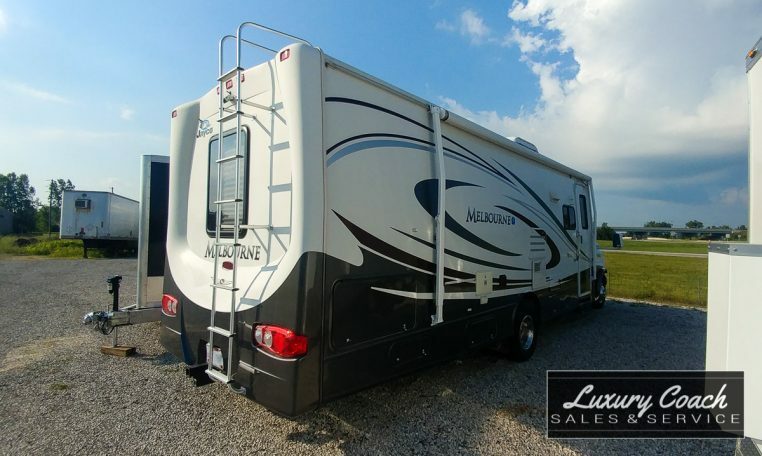 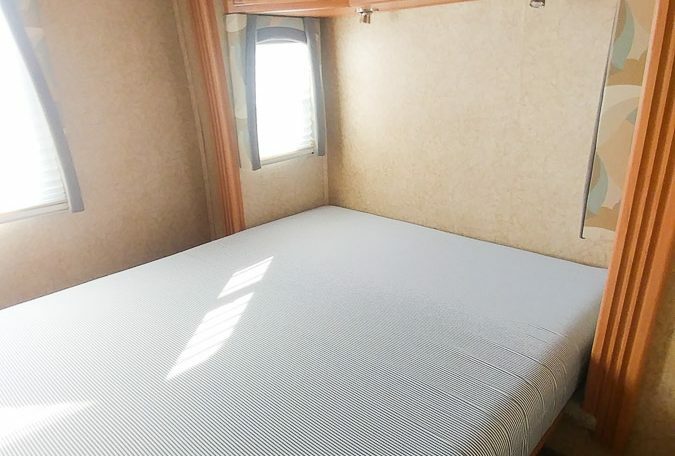 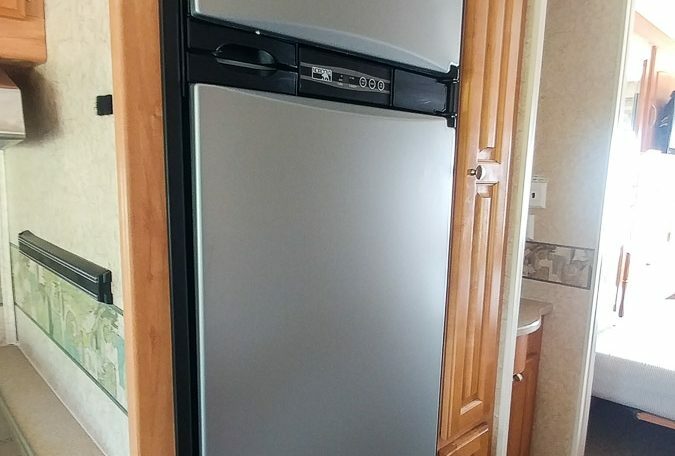 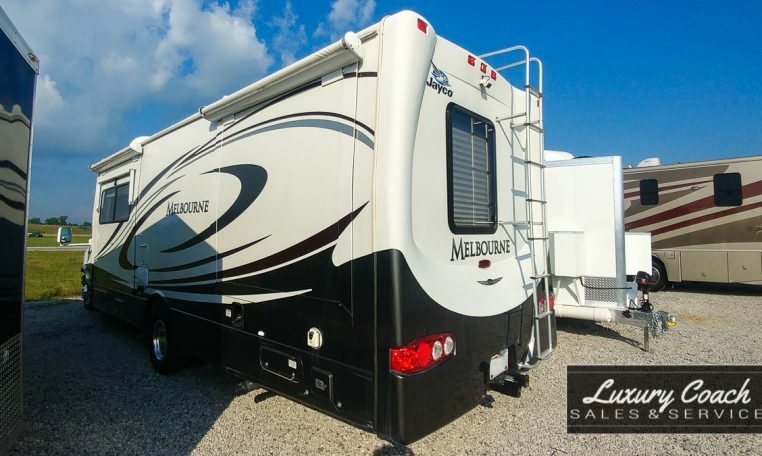 This 28 ft 2008 Jayco Melbourne 26A has very low miles and is very clean!! 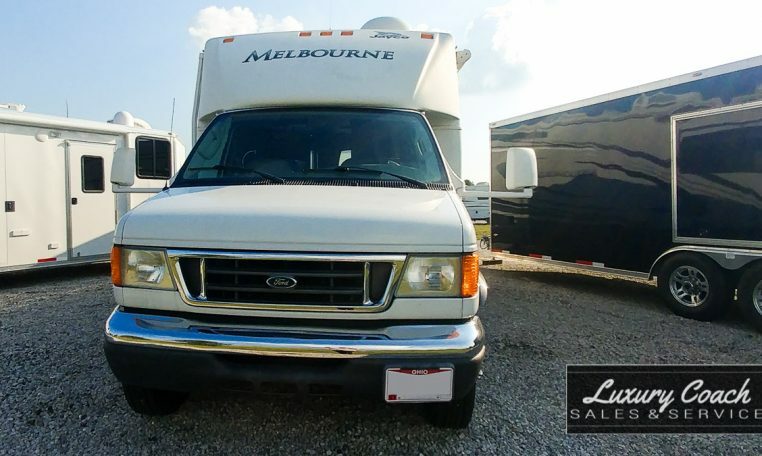 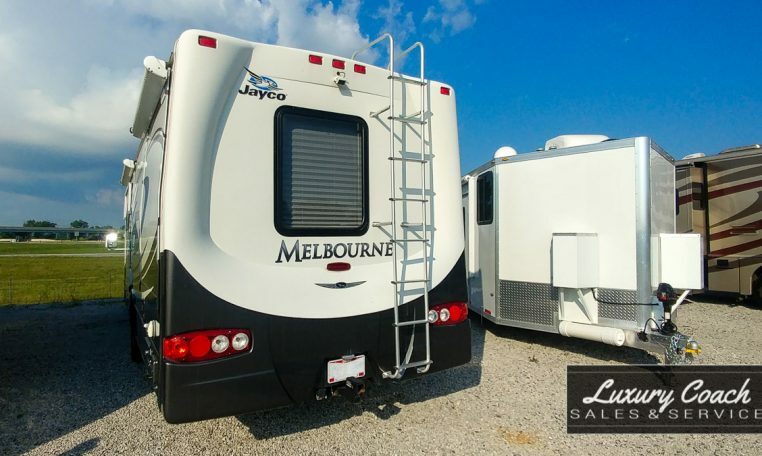 With only 26,800 miles on this Jayco Melbourne, you can cruise down the road in confidence. 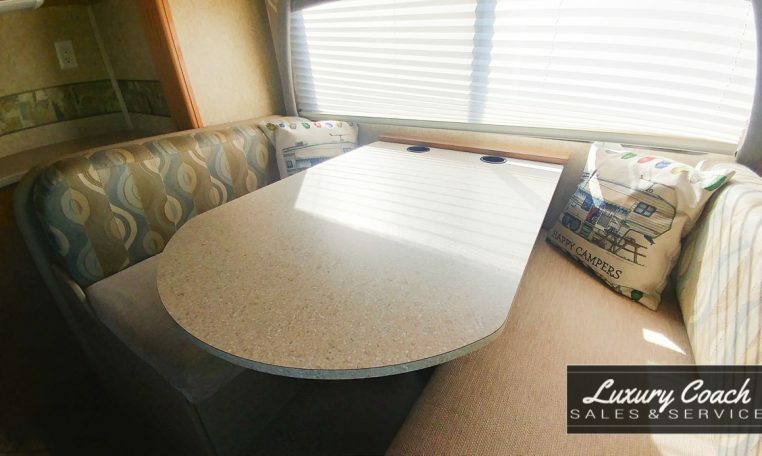 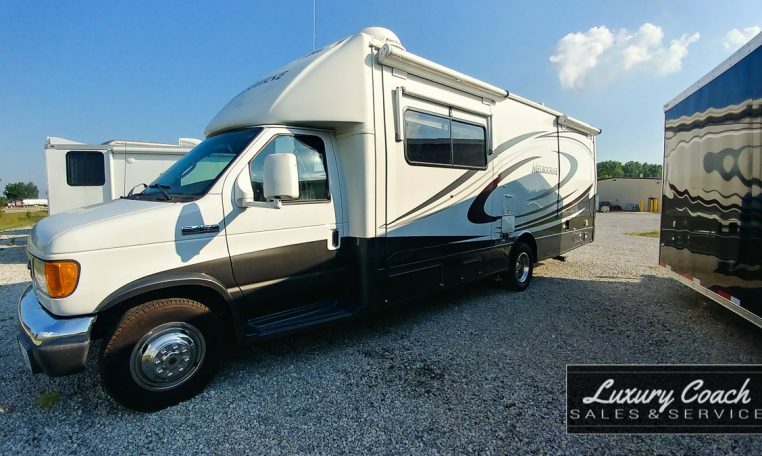 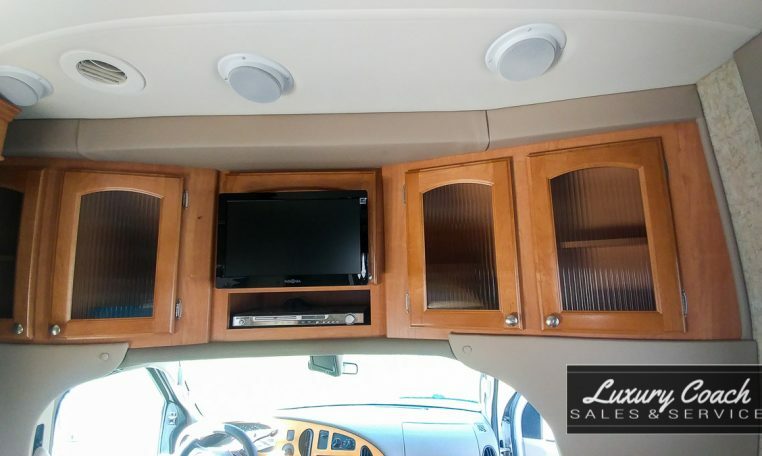 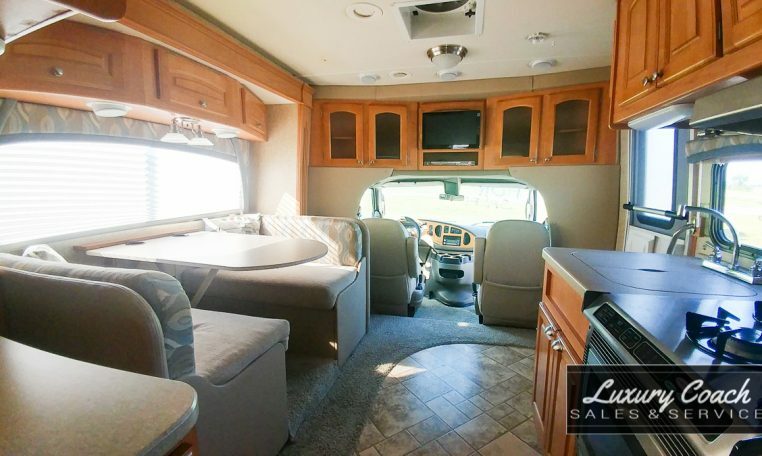 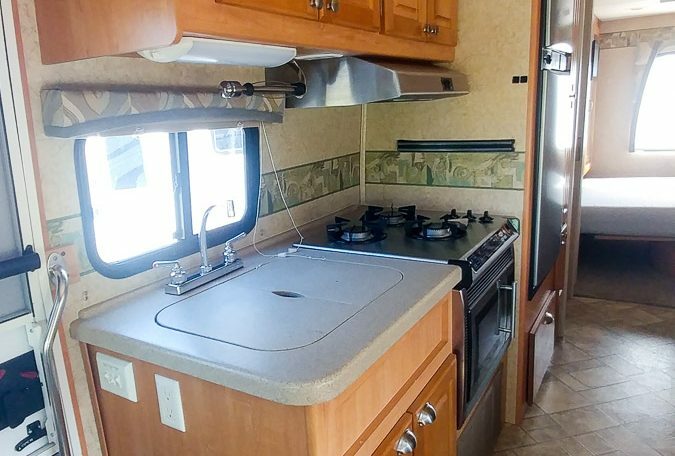 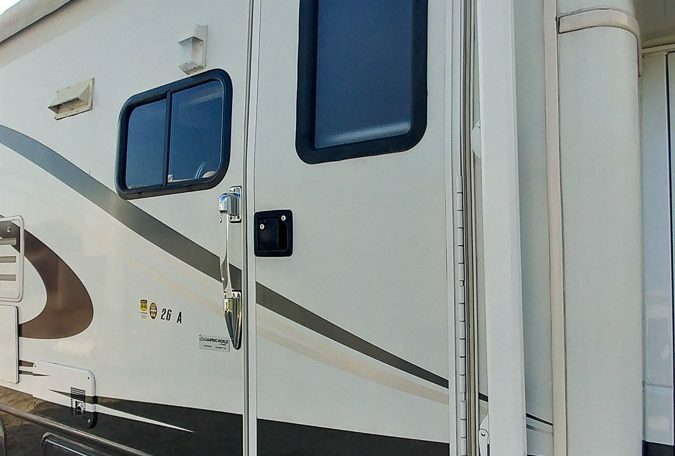 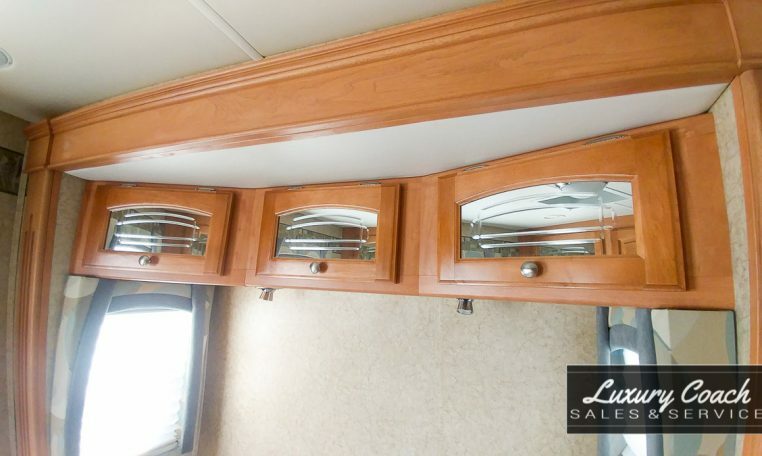 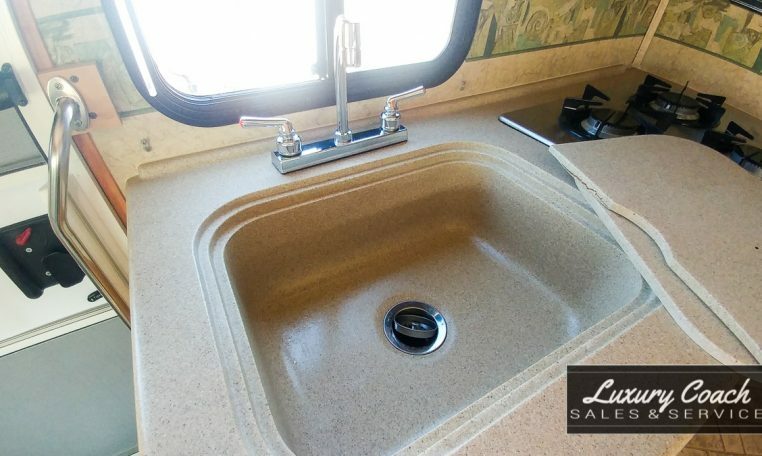 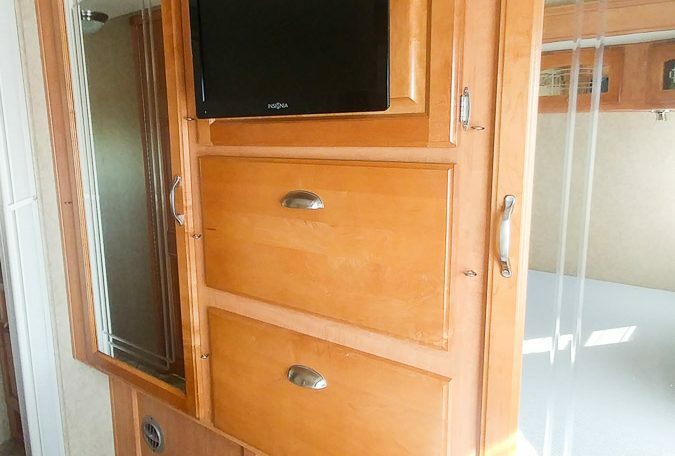 This RV has 2 slide-outs with covers and a 15 ft awning for entertaining. 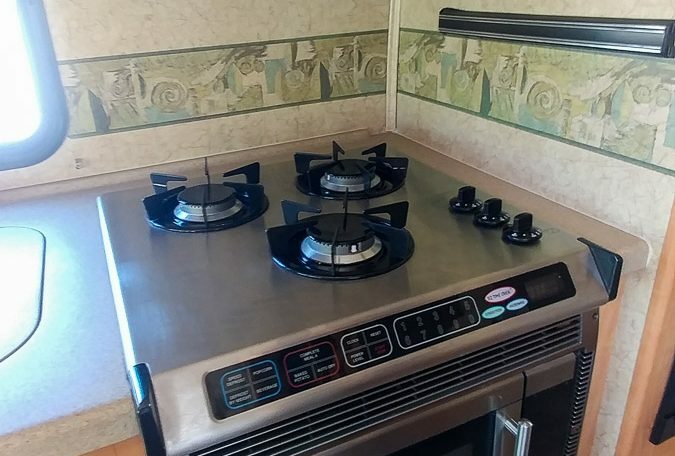 Kitchen amenities include a 3-burner stainless steel gas stove with convection microwave oven and overhead fan, mid-sized flush mount 2-door refrigerator with electric/propane option, cabinets beside and underneath refrigerator for additional storage, single basin sink w/J faucet, tile flooring, and plenty of storage including a magnetic wall strip for utensil storage. 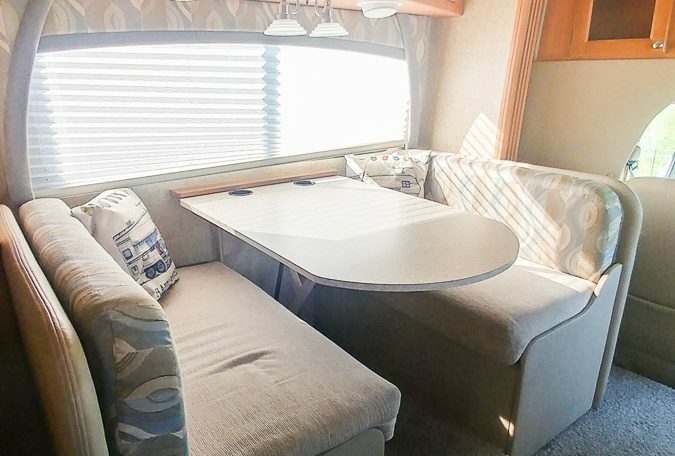 In the living area, you’ll find carpet and tile flooring, cloth dinette booth seating with 2 cup holders in dinette table, overhead lighting and storage, an Insignia flat screen TV, and decorative valances with day/night shades. 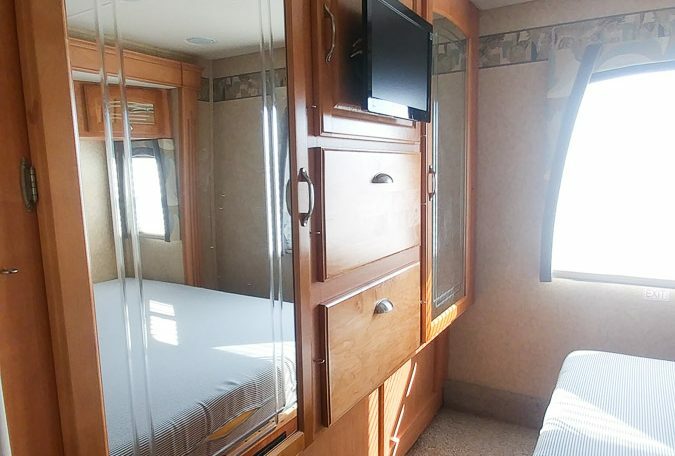 There is a queen bed in the bedroom along with another Insignia flat screen TV, overhead storage with reading lights, carpet, and wall-to-wall wardrobe with mirrored front doors. 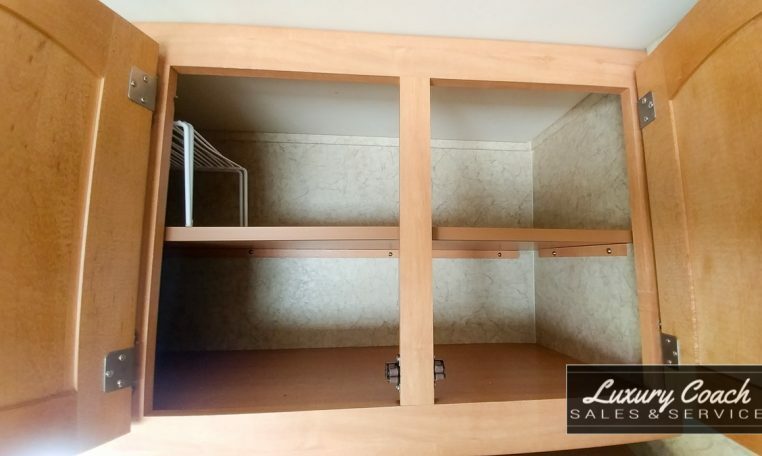 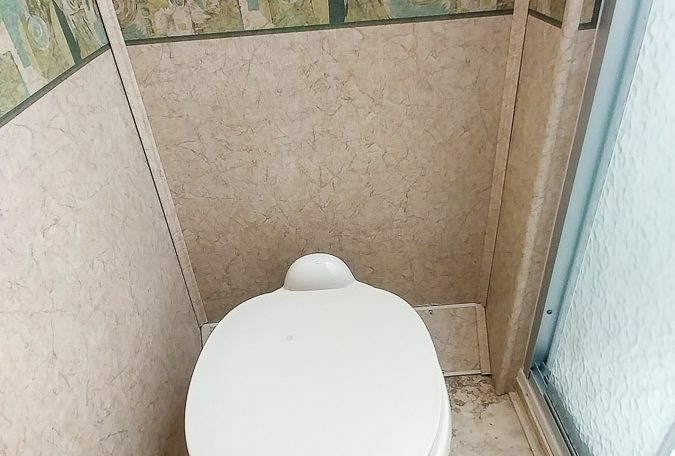 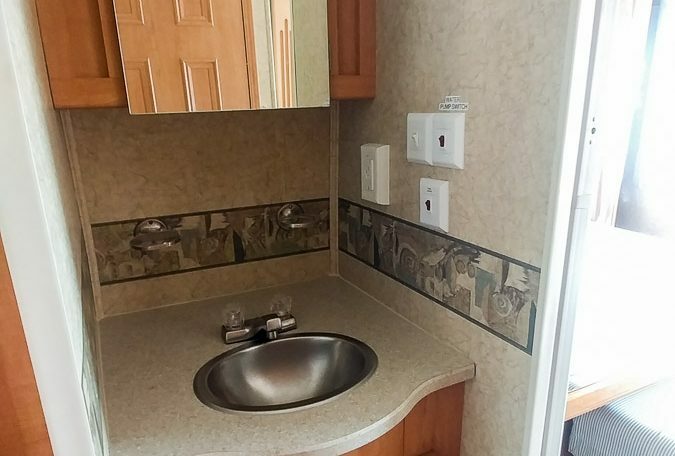 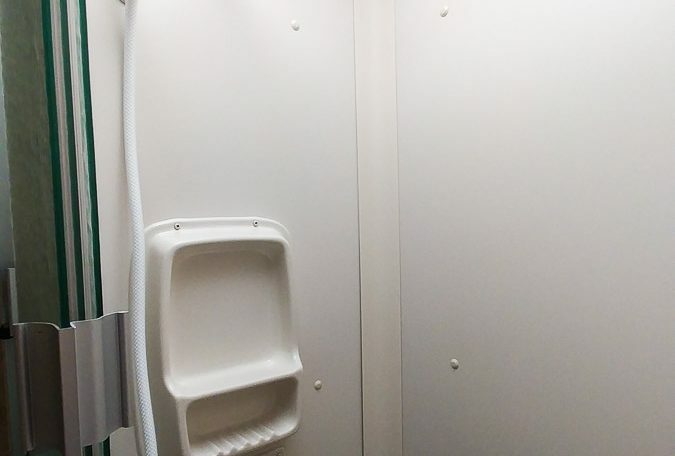 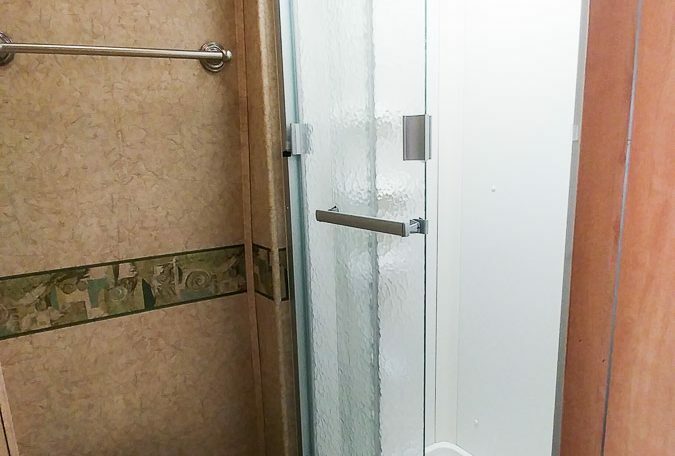 The bathroom is conveniently located in the center and includes vinyl flooring, porcelain toilet with foot pedal, side aisle bath w/glass shower door, detached vanity with stainless steel single basin vanity, underneath storage, and a mirrored medicine cabinet. 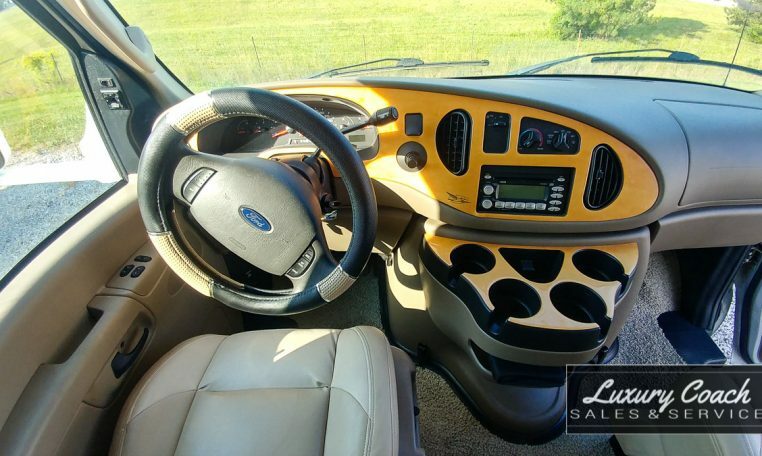 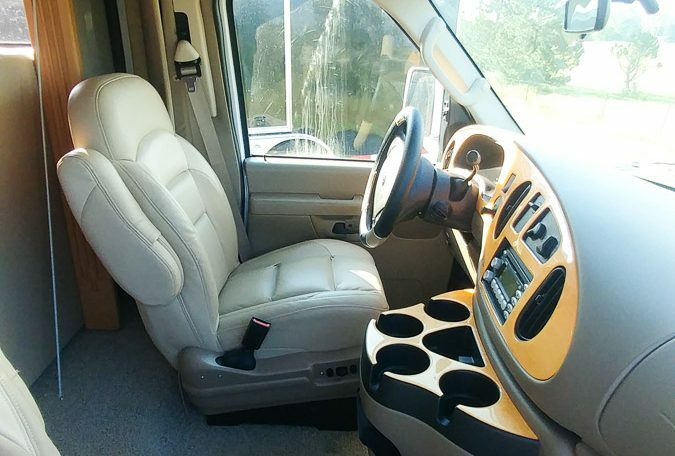 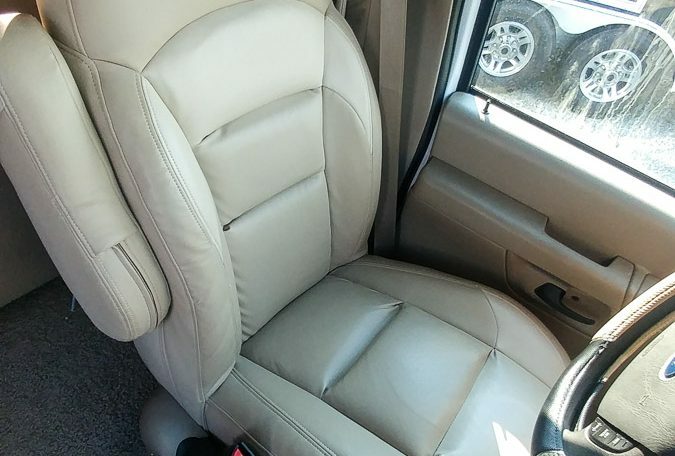 You’ll enjoy driving with features such as leather captain and co-pilot seating, backup camera, 4-cup holder convenience tray in center, remote control heated mirror, tilt steering wheel, 6-Way power driver’s seat, auxiliary start switch, hydraulic disc brakes, and 16-in steel wheels with 1 axle. 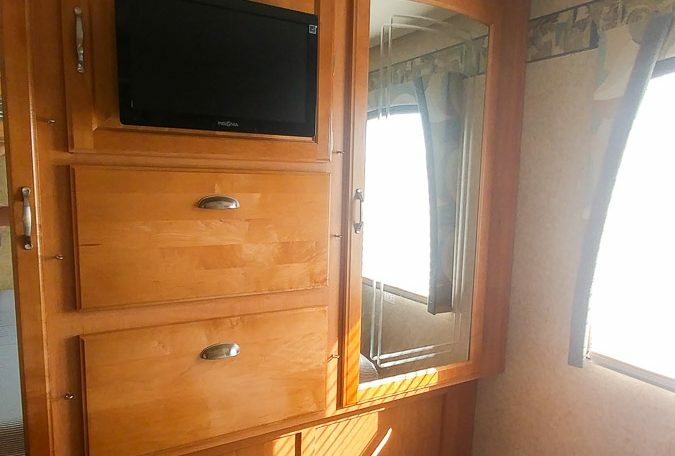 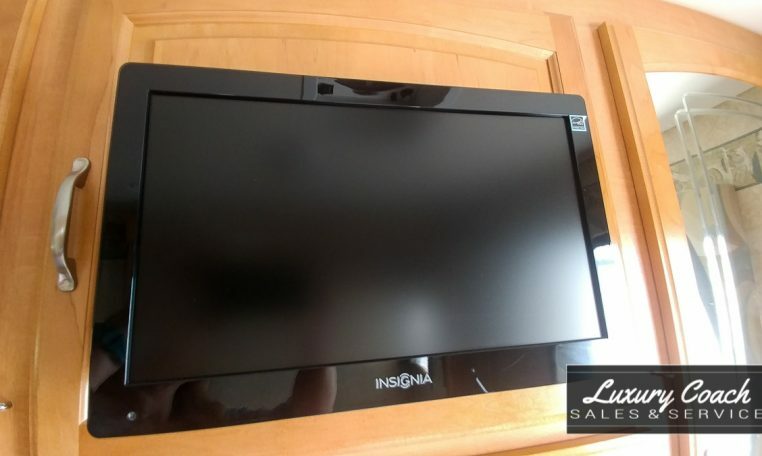 Guests will enjoy AM/FM stereo, interior/exterior speakers with Dolby surround sound, 1 disc CD player, DVD player, flat screen TV in the living area and also one in the bedroom, cable TV hookup, a signal boost TV antenna, and satellite capability. 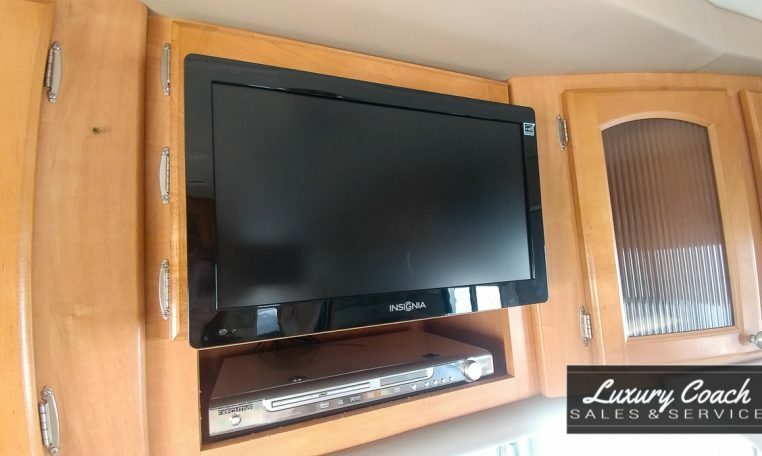 Enjoying the outdoors is easy with an outside TV hook-up, outside radio, outside grill rail, outside shower, and side-entry with screen door and lighted safety handle. 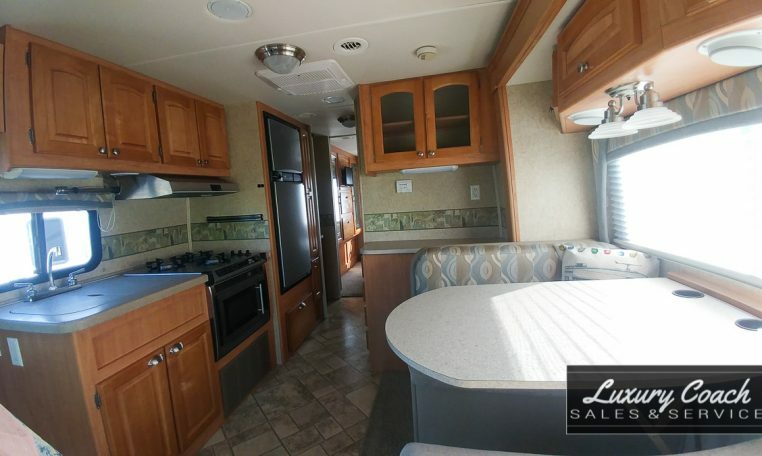 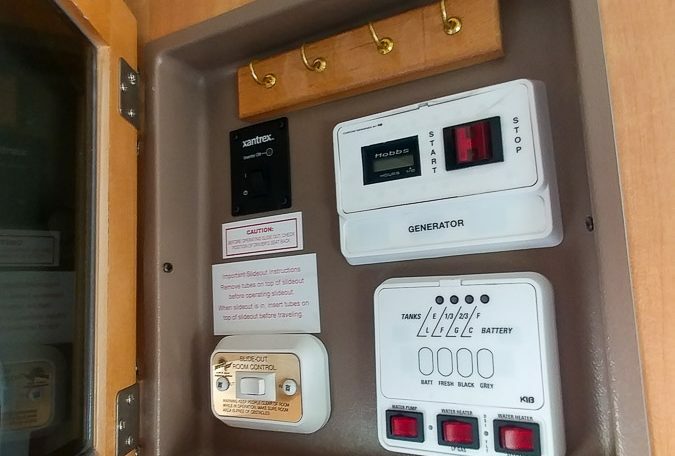 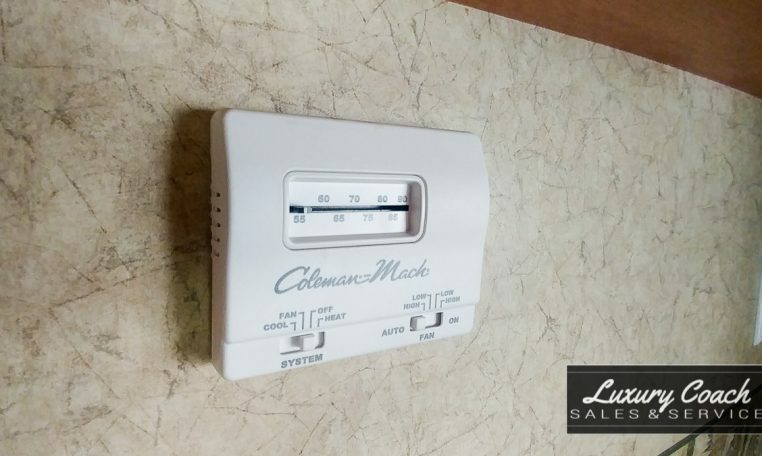 Other comforts include automatic ducted A/C at 13,500 BTUs, auto ignition furnace at 31,000 BTUs, Coleman-Mach thermostat/air conditioner, gas/electric water heater w/bypass kit, attic fan, day/night shades, skylight, extra cushions for dinette seats, power vent in bath, electric steps, rear ladder, and a power retractable slide-out. 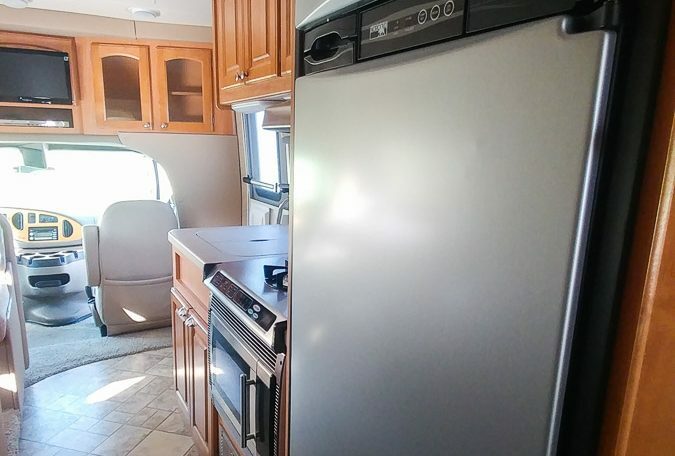 This Jayco Melbourne is aluminum and fiberglass constructed, has diamond shield paint, 400W invertor, 4000 W generator, 1 propane Tank, carbon monoxide alarm, heated holding tanks, battery power converter 45A, exterior mounted spare tire, rear hitch receiver, towing package, and a fuse kit. 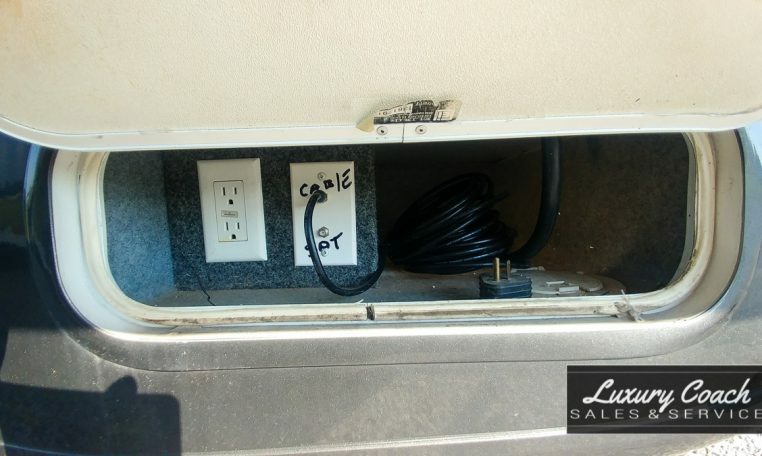 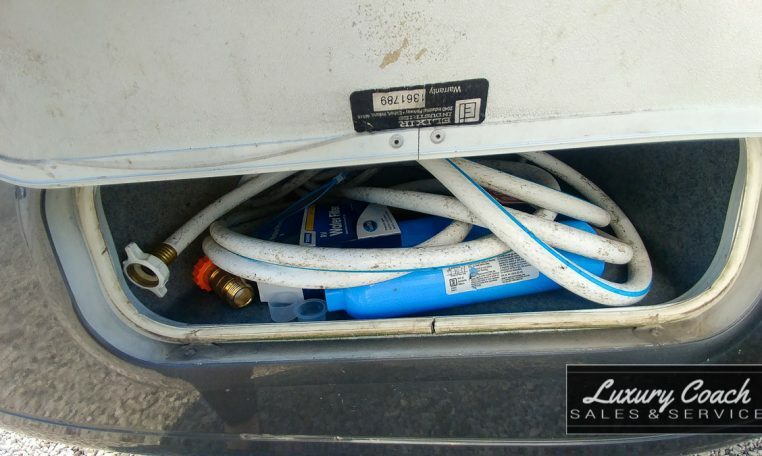 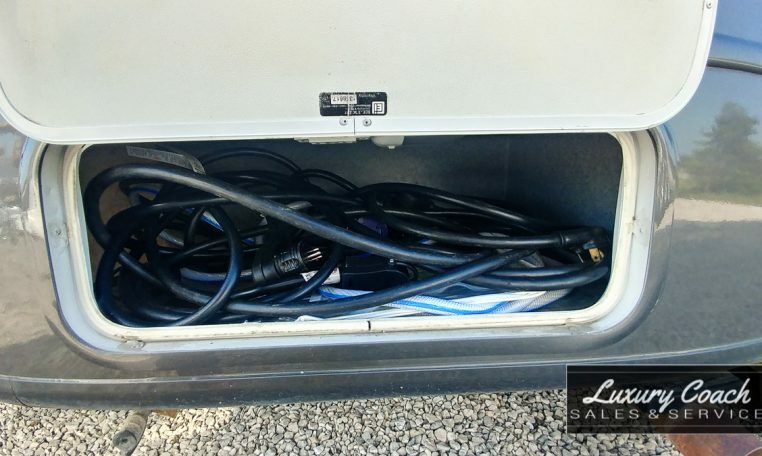 It also has a NEW 30A shore power cord, NEW 50A extension, NEW sewer hose with slinky, and a NEW water connection hose. 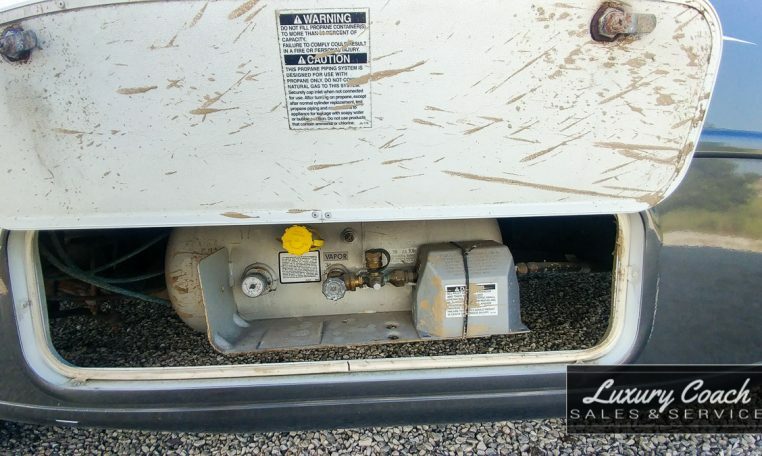 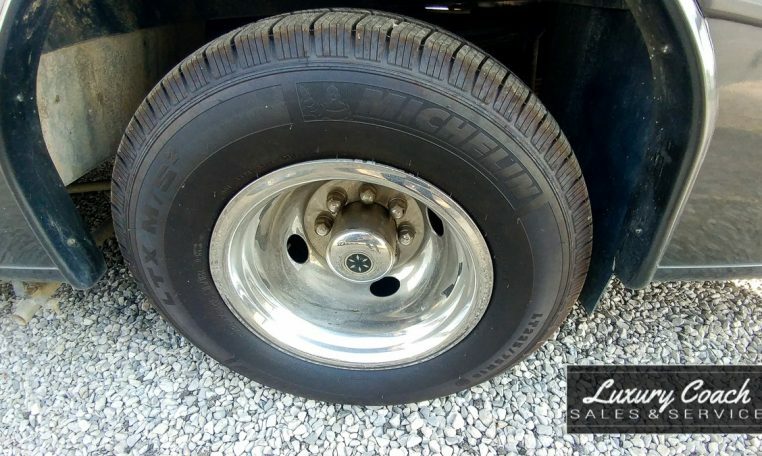 Please note: We originally listed this unit with leveling jacks. 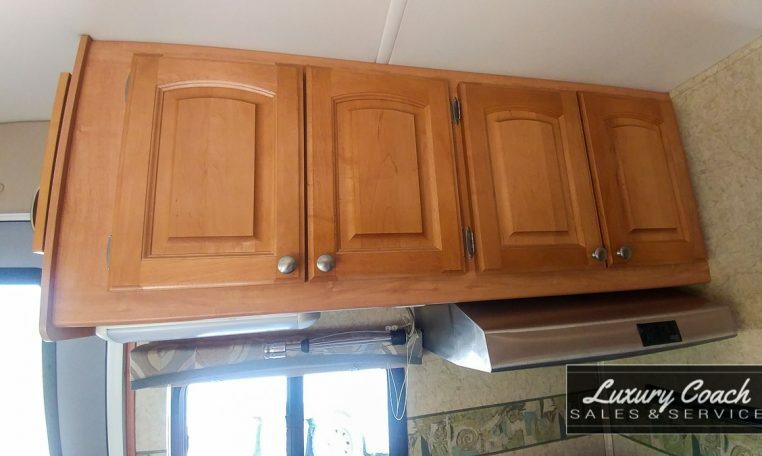 There are however no leveling jacks. 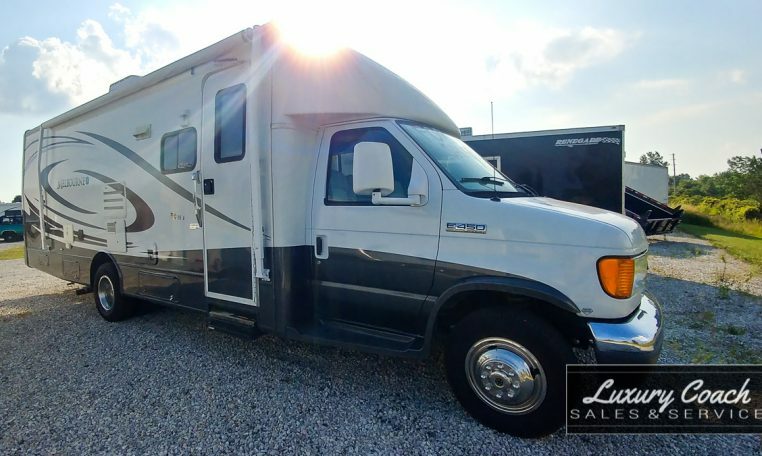 Browse through our selection of recreation vehicles that have recently been added to our inventory.